Not all scientists agree that the Nias Serpent Eagle is its own species, but rather classify it as a subspecies of the Crested Serpent Eagle (Spilornis cheela). The Nias Serpent Eagle is one of the smallest serpent eagles in the world. 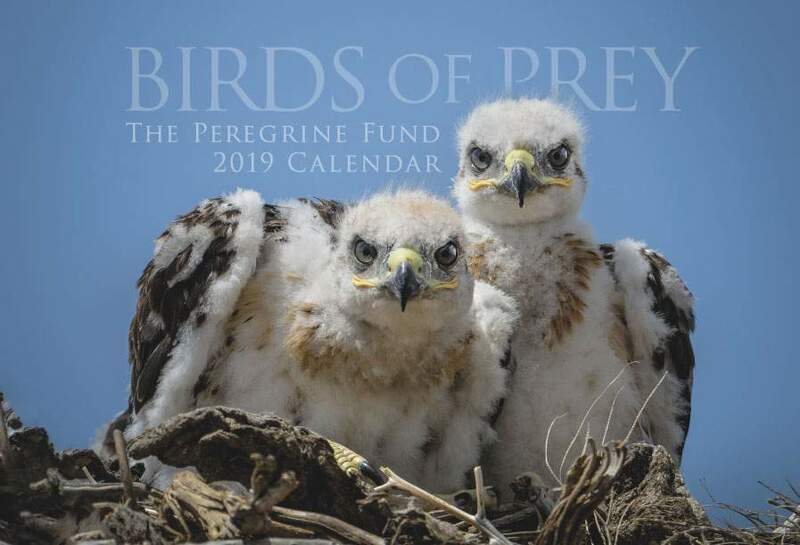 Though The Peregrine Fund doesn't work directly with Nias Serpent Eagle, our efforts in scientific research, habitat conservation, education, and community development help conserve raptors on a global scale. We also supply literature to researchers from our avian research library, which helps scientists around the world gather and share important information on raptor conservation. Like the Galapagos Hawk and the Ridgway's Hawk, the Nias Serpent Eagle is an island endemic - meaning it is found only on one island or island chain and nowhere else on earth. 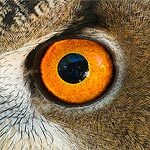 In the case of the Nias Serpent Eagle, it is found only on the island of Nias, which is just under 100km southwest of Sumatra - an island in Indonesia. The Nias Serpent Eagle inhabits forested slopes 886 m, which is the highest part of the island. The Nias Serpent Eagle is a small eagle with a dark crown. An adult Nias Serpent Eagle has grey along the side of its head, and pale brown upperparts with streaking along the lower belly. It has a short tail and a short crest. Its eyes, cere, and unfeathered legs are yellow. There isn't any information available yet as to what a juvenile Nias Serpent Eagle looks like. Sadly, no real information exists regarding the status or population numbers of the Nias Serpent Eagle. But, taking into account that they live on an island of only 4,772 km², they could be vulnerable to changes in habitat and a growing human population. As its name suggests, the Nias Serpent Eagle feeds on snakes. It also feeds on lizards. Other than that, not much else is known. There is sitll so much to be learned about this endemic raptor. 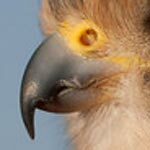 Sadly, no information is available regarding the breeding biology of the Nias Serpent Eagle. Do the male and female mate for life? Do both work together to build their nest? What kind of nest do they use and where is it placed? How many young do they have? How long do the young remain with their parents? All of these questions still need to be answered! The World Center for Birds of Prey offers fun ways to learn about raptors. The visitor center has interactive displays, tours, interesting videos and a children's room with activities from coloring sheets to quizzes to costumes and a touch table for the curious mind. We also have several different birds of prey on display year-around, including a Bald Eage, a Harpy Eagle and an Ornate Hawk-eagle. Knowledgeable staff and volunteers are on hand to answer any questions you may have about Nias Serpent Eagle or any other birds of prey.